Hi all! 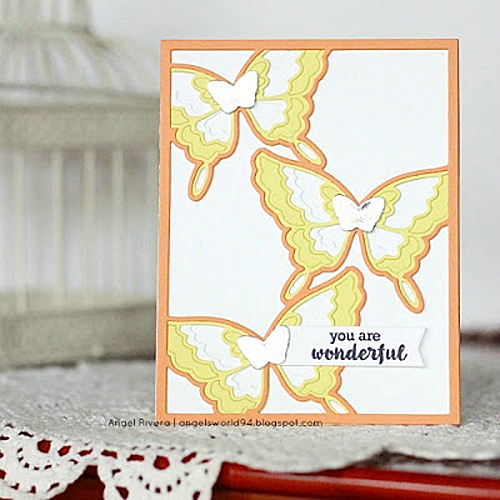 Angel Rivera here again with a card using some lovely Birch Press Design dies and stamps. After die cutting each of the Flutter plates, I adhered them together using the Dual Tip Glue Pen. 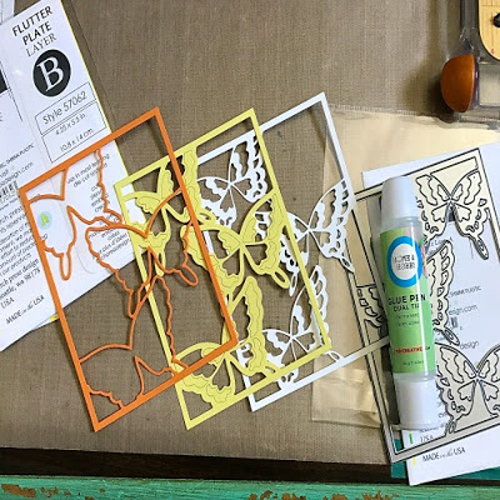 I purposely did not punch out all of the cut outs from the yellow die because I wanted more color in the butterflies knowing that I would use a white card base. 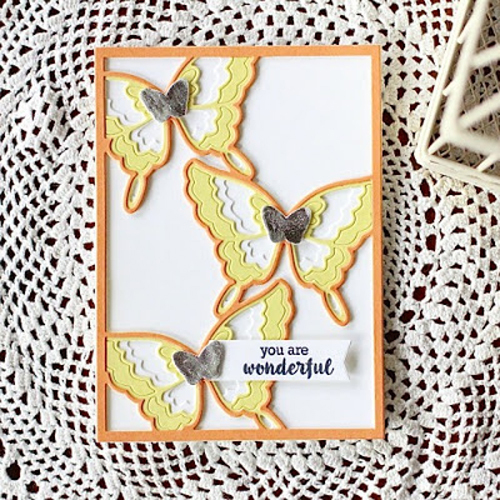 I used the 3D Foam Creative Embellishment Kit for one of the smaller butterfly dies in the set. This kit is SO fun! I love those silver butterflies! I then added the sentiment strip under one of the silver butterflies using the Dual Tip Glue Pen again. This entry was posted in 3D Foam Shapes, Adhesives, Cards, Crafts & Tutorials, Embellishments, HomeHobby by 3L, Tutorial, Wear your Adhesive on the Outside and tagged 3D Foam Creative Embellishment Kit with Foil, 3D Foam Creative Sheets Mix, Angel Rivera, Card, Card Making, Dual Tip Glue Pen, Guest Blogger, Guest Designer, Wear Your Adhesive on the Outside. Bookmark the permalink. 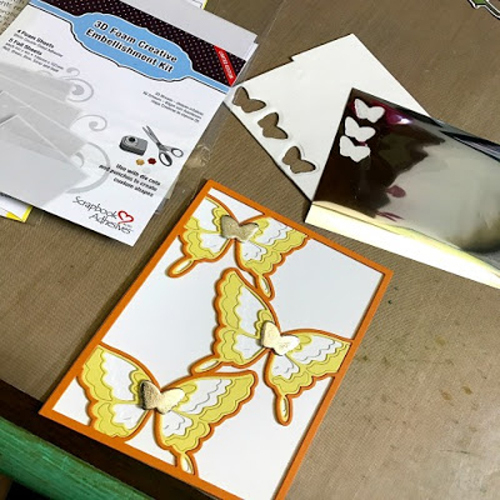 2 Responses to "Dimensional Flutters with 3D Foam Creative Embellishment Kit"
Just gorgeous Angel! Love the colors and those beautiful embossed butterflies!